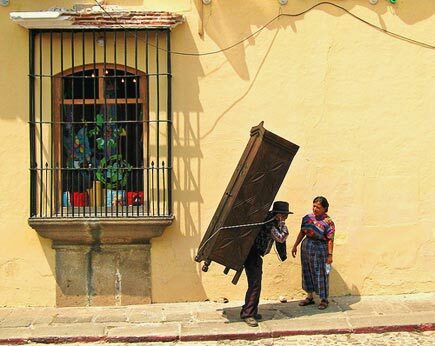 This photo of a furniture deliveryman on the streets of Antigua, Guatemala, comes from Michael R. Swigart’s photostream. WOW, I wish my back was that strong lol….kinda feel bad for an older man doing that but I guess everyone has to work to survive. Great photo. It’s amazing what people can do when they have to.